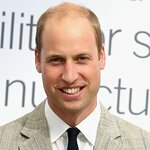 Prince William spent a night on the streets of London to better understand what it’s like to be homeless. Temperatures dropped to 25 degrees Fahrenheit while William slept on cardboard boxes in an alley close to the River Thames. The chief executive of Centrepoint, Seyi Obakin, accompanied him. Centrepoint celebrated their 40th anniversary this year, where Prince William delivered a speech, challenging the organization to redouble its efforts to end youth homelessness. In turn, Obakin challenged him to spend a night on the streets, not expecting William to actually do it. More than 4,500 people live on the streets of London. His mother, Princess Diana, also supported the charity.